Cheerin' Minnie Mouse Doll ONLY $19 + FREE Store Pickup (Reg $39.97)! You are here: Home / Great Deals / Cheerin’ Minnie Mouse Doll ONLY $19 + FREE Store Pickup (Reg $39.97)! Cheerin’ Minnie Mouse Doll ONLY $19 + FREE Store Pickup (Reg $39.97)! Woo Hoo!! 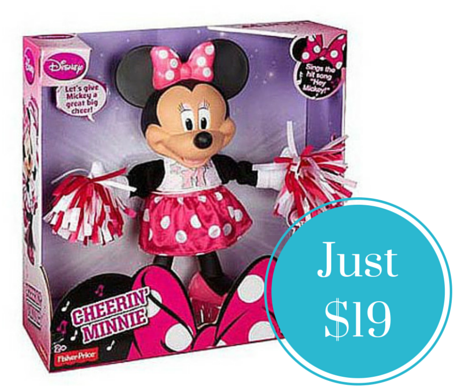 Check out this awesome deal on this Cheerin’ Minnie Mouse Doll for ONLY $19 (Reg $39.97)! Shipping is FREE when you select Site-to-Store Pick Up (if available in your area)!